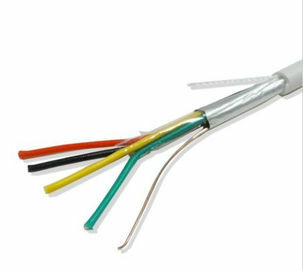 Alarm Cable use conductor of Stranded Copper Copper Clad Aluminum, mainly packed in 100M. framework upon which all of a building's asset protection is based. to meet high performance in practical application. Wiring Burglar & Security alarms, public address systems,intercoms,telephone stations, speakers,instrumentation,control and other low voltage circuits that are power limited.